CASH COW 6.1% RETURN ACT NOW! DRASTICALLY REDUCED TO CLEAR NOW $318K! Top Floor & Top Shelf! Previously returning at $375/week, put this one in your super-fund portfolio and watch it grow! Be quick with this unit in a low maintenance complex. It’s a neat & tidy top floor two bedroom unit with a great aspect, with UQ at your doorstep & leafy surrounds. Currently rented with a solid holding income until your son or daughter kicks off their studies at UQ next year or perhaps continue to collect the rent into the future? The choice is yours! One of only 11 in the block, positioned on the front side (level two), gives the new owner the confidence around their solid new home. Large windows allowing plenty of natural light + built in robes, ducted air-conditioning, large private balcony are among some of the stand out features. The property has a very homely feel with still plenty of room to stamp your own personality! 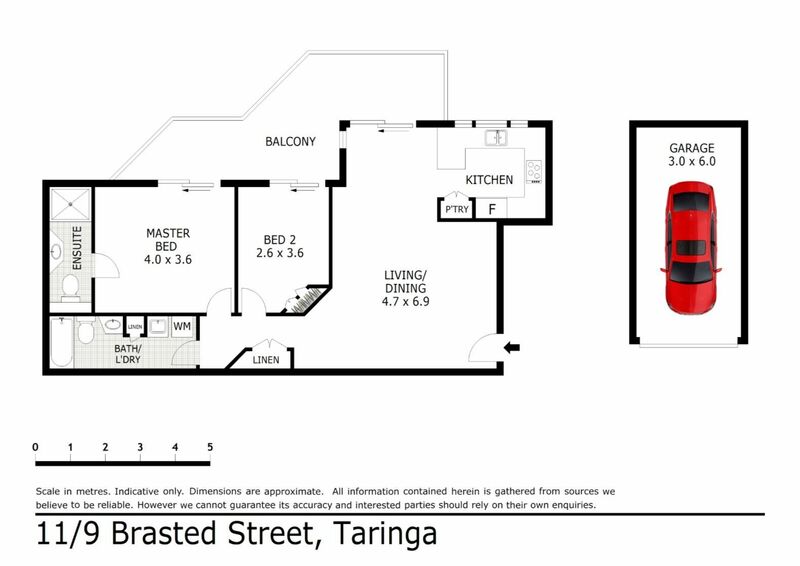 The location is fantastic, surrounded by all the benefits of Taringa living with Indooroopilly Shopping Centre & Toowong Village only moments away, the Taringa Train station only a seven minute walk away & bus connections in all directions perhaps into the City/Southbank for the afternoon. :: Spacious lounge and dining area opening to your own private balcony. :: Full of natural light.